Utah Stories is about promoting and protecting the power of the individual. It’s our belief that The Internet can become a means for individual voices to be heard through all of the clutter, spin and noise in the current media setting. It’s our mission to promote and highlight individuality in a world becoming more homogeneous. To this end, we highlight individual success stories and promote the home grown culture found in Utah. Utah Stories’ mission is also to help protect local business when special interest, government or corporate power, come to assume control. We call this debugging society. We have found a true niche in Utah for local coverage truly working in the best interests of local business owners and local residents. In order to ensure that our coverage remains truly independent and for the good of the local community, we only accept sponsors or advertisers who reside in Utah. It’s our goal to produce stories with meaning that help promote and sustain the threads of local community. Communities that are aware of policies and stories that affect their lives, are much stronger than those communities that are apathetic or believe their individual voices or votes can’t make a difference. Utah Stories has also been recently featured on KJZZ and KRCL Radio. Many thanks to our loyal readers and supporters who are spreading the word though online social media. 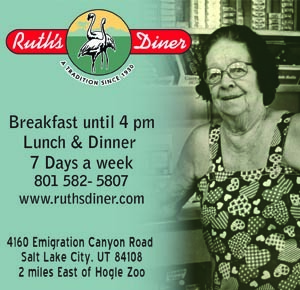 Keep Twittering, Digging, Facebooking and MySpacing Utah Stories! Eight years ago I exited my corporate cubicle and enrolled full-time at the University of Utah to study documentary film making and journalism. Prior to enrolling I was a new media professional. I naively believed that I could use new media to educate, inspire and alter perceptions. After graduating, I attempted to make a full-length documentary film, on the Ute Indians. I wanted to tell their true story and document their lives and history with the accuracy that was lacking in history books. After six months of working on pre-production, writing grants, building alliances–followed by a complete cave-in on all plans moving forward–I was disheartened. After that experience, I realized that politics and special interests write history and independent voices rarely matter–unless the so called “independent voice” is serving a special interest. At this point maybe I could have become a journalist or a news producer but I thought if I sold out to the main-stream media I would eventually feel like a cheap whore. So I became a reclusive computer programmer. But I actually came to enjoy programming very much. How could a film maker/ writer enjoy programming? First of all I don’t believe in pigeonholing our capabilities and talents–I don’t believe in left-brain vs. right-brain. Those who succeed do so because they use their whole brain. Computer programming is an exercise in overcoming emotion and the desire to throw one’s fist through one’s monitor, and instead think calmly and rationally about bugs (as problems or errors are called in the world of geek-speak). I made my living programming for seven years, but then I found myself back in the corporate world–making decent money–but not honoring my real desire to make a difference in media. Seven years ago I started Utah Stories part-time. It was an experiment to see if anyone would respond to a website covering local news in-depth. I was surprised to find such a receptive group of readers, politicians and citizen activists receptive to the idea of hyper-local news in Utah. I began by covering one single story for nearly four months. I stuck with trying to answer one question: why was much of historic Salt Lake City razed to build two downtown malls? (story details). Then a reader suggested I cover the Sugar House Granite Block (story details). After eight months, these two stories brought a few visitors. But what inspired me to continue were the interested citizens who contacted me asking how they could be a part of what I was doing–offering their help and advice. With the help of the many contributors we have produced dozens of other great stories. It’s my belief that those who debug government and society should be compensated as much as those who debug software code. My goal is to create a means for society debuggers and independent minded individuals to be well compensated for the difficult work of investigating society’s flaws or bugs and widely communicating those bugs to affect change. Without enough debuggers or investigative journalists, (or more simply those who aren’t afraid to ask tough questions–and seek real answers), our society will certainly crash, as it seems to be crashing today. The growth of our valley need to appear like a virus or a scourge on the earth. But when government powers collude with corporate powers and greedy developers we find a world where there is no room for small business owners, entrepreneurs and wealth creators. 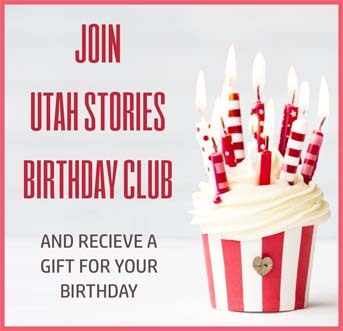 So above all our mission at Utah Stories is to promote spending and supporting locally-owned businesses. I want to personally thank all fans of Utah Stories who are telling their friends to check out the web site. Without a doubt, moving forward it will be your accolades and grass-roots support that will sustain and grow the much needed coverage local Utah deserves.